It is no secret that fashion has been traditionally thought of as for women. 10-15 years ago, fashion icons were often if not always women who took risks with their constantly evolving styles and made it a point to set trends rather than follow them. Since then, the fashion game has changed quite a bit. Men too, are getting in on the action. From just the usual suits, pants, shirts and t-shirts the options for men have progressed, with male fashion icons becoming increasingly watched. Despite all the beautifully crafted material that is now available to men all over the world, it is still an old fail-safe that transforms a man into a fashion icon. The abrigo de hombre also known as the jacket. From sports jackets to suit jackets to blazers and coats men are spoiled for choice when it comes to picking the right one for every event and season. However, regardless of the type of jacket that is being worn, it is the fit, cut and sometimes colour, that truly sets a fashion icon apart from a regular male. Just like how every woman should own a little black dress, every man should have a dinner jacket also known as a mens tuxedo jacket hanging in his closet. There are several events that men can wear tuxedos to. From weddings to premieres to proms, tuxedos are worth having in your closet because chances are, you are going to keep needing them and a small investment now could save you time, energy and money in the future. However, these days, most men rent their tuxedos when there is an upcoming event. Unfortunately, this often results in a suit that does not fit well and makes the individual look lumpy and may even make him feel out of place. 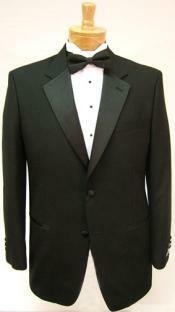 Perhaps the biggest issue men face when pondering on purchasing a tuxedo is about its style of wear. A traditional tux has limited options for accessorizing, peaked lapel, shawl collar, formal shirt, cummerbund, black bow tie and formal shoes particularly for black tie events. That being said, the idea behind wearing a tux has changed. Apart from black tie events, having a dinner jacket readily available can be a great versatile piece. For instance, performers such as Michael Jackson, James Brown and Prince have all worn a sequin tuxedo jacket sparking a trend of heavily sequined and bedazzled jackets back in the day. Like all good things, this has made a come back and worn in the right way, this eye catching piece will be sure to be attention grabbing in the best way possible. If glitter fuelled jackets are completely out of your comfort zone, you could accessorize with something other than a standard formal white shirt under dinner jacket. Adding a pop of colour will change the dynamic of the traditional tux. For instance, you could wear any other colour of shirt. Whether it's red, blue, black or even pink the look will be great as long the fit is right. You can also add colour and personality by putting on a tie with a matching pocket square or wearing cufflinks that are little more eclectic. If one is a little more daring, they can choose to add colour by going for a complete one toned colour dinner jacket. It is not uncommon to see performers on stage or in a band don a red tuxedo jacket or a purple tuxedo jacket. There is absolutely nothing wrong with adding this to your closet and wearing it in your daily life. Worn appropriately, a colourful dinner jacket is a great way to exhibit your personality and sense of style. Most men are afraid of experimenting with ostentatious colours and prefer to stick to something tried and tested. Unfortunately, these looks are often boring and wearing something a little different and striking may put a little pep in your step and simultaneously turn you into an icon. Conclusively, unlike trends that come and go, dinner jackets are never going to go out of style. They are and should be a wardrobe staple for every man. Apart from black tie events, a dinner jacket can be worn at work, for dinner and even when you are out on the town. With so many different styles available apart from the mens white linen jacket and its black counterpart, there is no excuse for anyone to not utilize this piece. If reaching the stratospheric status of being a fashion icon is what you truly desire, then jackets dinner jackets, specifically are simply a must have.